Social activists who make the lives of thousands of others better. To observe such people is inspirational. But let’s not just be inspired. Let’s not just feel good about the actions of others. Let’s get off the bench and get into the game. Previous post – Explore. Dream. Discover. I needed this today! 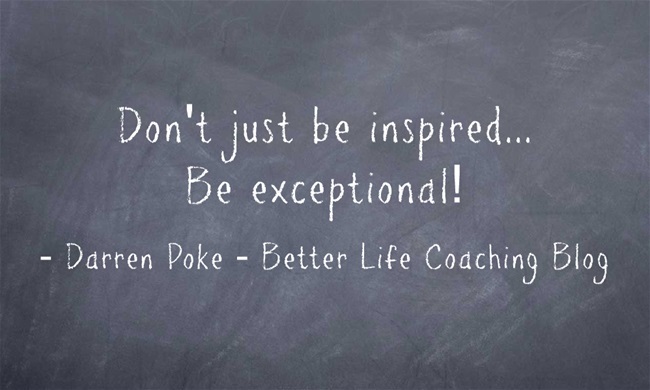 It is my goal to be exceptional and to help those around me in an exceptional way! Thanks Gerry, go for it!